User Manual for Casio Illuminator Watches? You may need ADOBE READER installed on your computer to read PDF documents, although many computers already have this type of utility pre-installed. You can download this free at WWW.ADOBE.COM if necessary. Click on the DOWNLOAD ADOBE READER button on right side of the ADOBE home page when you get there, then follow the onscreen instructions to install the software on your computer. Remote Key fob Re-syncing procedure . PROBLEM: Immobilizer fob has stopped working. In these cases the engine will not turn ON. You would have to reprogram the immobilizer or a get a new key (and program it).  Unlock the vehicle using the key.  Within 30 seconds: Press key lock button twice .  Repeat above procedure to synchronize any remaining keys.  Key added or replaced.  Replacement keys can only be programmed using diagnostic equipment.  Immobilizer can only be programmed using diagnostic equipment. Audi A8 Key Fob Programming? Oldsmobile Aurora Key Fob Reprogramming? Buick Lesabre Key Fob Reprogramming? Keyfob remote not working on 2003 Ford E350 Econoline? 2000 Jeep Cherokee Limited: KeyFob Remote Not Working? Chevrolet Malibu: Key Stuck in ON position? Problem noticed on 99 Chrysler 300M that is almost at 200K miles on its original engine and transmission. The engine is in great shape, still purrs like a kitten and barely burns any oil (1/2 quart every 6 months of heavy driving). Now for few months, I've been hearing and feeling a rattling coming from the driver's side wheel area, mostly while driving at lower speeds or going over bumps. I thought was a suspension issue, turned out to be looseness of my transmission's output/stub shaft, according to a mechanic. The wheel bearings were replaced and supposedly, everything else checks out. The Garage mechanic also said the long CV axle looks like it's in good shape. The Possible way to fix the issue is to replace or rebuild the transmission, since it will have to come out completely. Is there any other alternative to repair the problem or to save the repair cost? As per my inspection the looseness and rattling feels like it is at where the CV axle connects to the output shaft. The output shaft itself does not feel like it is loose inside the gearbox. I almost suspect the inner connection of my CV axle is worn or the threads of the output shaft may very well be worn. Is there any kind of coating that can be added to restore the output shafts threads, without having to replace the entire output shaft assembly? PLEASE SUGGEST SOME EASY SOLUTION? As per problem described you mentioned that the noise was coming from the left side of the car, is that also the side that mechanic at car garage said there is a problem with the shaft on? The left stub shaft runs from the differential on the right side of the trans, though the bellhousing and out to the left side. There is a support bearing at the left side of the case with a large snap ring that holds it in. This shaft takes less than an hour to replace if there is in fact something wrong with it. To check the shaft splines and the bearing you can pop the CV shaft off of it and inspect it. The right side stub shaft is the one that everyone seems to believe is loose on these and it's a matter of knowing what is normal. Due to the way the trans is designed it's normal to have up and down movement if you grab the inner CV joint and move it. The excessive movement can be there or its the actual system with that much free movement.This isn't to say you aren't seeing excessive movement, but some movement there is normal and it will be more than you feel on the left side. To confirm the problem you can pop the CV shaft off and have a look at the splines. If the splines are ok and there is truly enough movement then the trans would have to come out and the differential disassembled to replace the shaft. As per my knowledge replacing or rebuilding the entire transmission isn't necessary. If there was excessive movement there then you should see the axle seal leaking and I would expect some vibration on acceleration. If you're feeling and hearing a rattle over bumps I highly doubt it is related to the stub shaft and CV shaft. One more important thing,get second opinion from another car garage mechanic who is bit professional. The stub shaft on the left side wouldn't require removal of the transmission at all to replace it. The shop either isn't experienced with this or they weren't wanting to work on your car anymore!They are ignoring the problem. If you're able to slide under the car with a flashlight take a closer look at where the shaft goes into the trans. You'll see that the bearing goes into a bore in the trans, the bearing is roughly three inches in diameter. Around the outside of the bore is a snap ring, this is what holds the entire stub shaft in. First remove the tire and then the strut clevis bolts. This will let the top of the steering knuckle swing outward enough to get the CV shaft off of the stub shaft. Knock the shaft off of the stub shaft and then the snap ring can be removed. Then only you can pull the stub shaft out. There is a special tool that can be used with a slide hammer than grabs the shaft by the retainer ring groove on the end. Due to age and corrosion I've seen some of these stick pretty bad my personal experience and sometimes you have to use a hammer and punch or air hammer to get the shaft out. Another method if replacing the shaft would be to weld a large slide hammer directly to the stub shaft if it gets to that point. If it comes apart correctly then the entire shaft and bearing can be replaced in less than an hour. First make sure that the fuses and relays are all OK. Next to check whether other windows move up-down. If they do then the problem is with that particular window only. 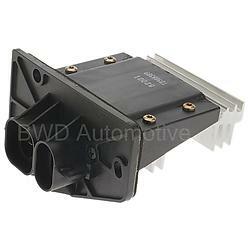 A jammed motor can sometimes be enticed to work by holding the window switch in the up mode while slamming the door. 2) A Dirty Window control switch. To confirm this you will have to take the door panel off and check to see what is binding the lift mechanism. Many such motors have a thermal cutout when they cant close the window they tend to overheat and then disconnect - cutout. It may be that it is opened. Also try cleaning the switch connections with some CONTACT cleaner or tuner cleaner from Radio shack or somewhere and spray INTO the switches while moving the switches. 3) Pinched or Cut Wires. It is also possible that one of the control wires fell off .Or wires got pinched and cut while open -close movement of door. With the switch pressed for the window to go up, can you hear the window motor running? If no then,it sounds like a switch problem, the powers and grounds run through the master switch to the other door switches, if one of the switches goes bad your concern will happen, the rear door switch is the same as the passenger door switch, so you can swap out the switch and put the window up.the trim covers just pull up and they will pop off, If by chance the switch is not the problem, take a rubber mallet and smack the bottom of the door about center while pressing the switch for the window to go up, sometimes the window motor will get stuck in a position and it needs to be jarred loose. On such problems the most common failure for the drivers window is the main window switch. Try lifting the window switch really hard and see if the window goes up. If it does then you most likely need a master window switch. If the window does not go up by pressing the window switch up hard, then the door panel would need to be removed and voltage would need to be checked at the power window motor, then also inspect window regulator to see if the cable is not broken or guide is damaged. If the window switch is already replaced and still the power window will not roll up then,its suggested verify power to the switch , use a multi meter if you have one. The master switch gets power at the LB/BK wire. If there is power check for a good ground at the black wire. You can overlay the ground , run a wire to good ground and stick it into the master switch at the black wire spot. Like back probing the ground side of the switch. You may have a broken ground wire in the harness where it flexes in the door jam. Ok What if Driver side Window Is Working But Passenger Side Window Not Working? Will it not go up at all? Or just automatically? Does it make any noise when you hit the up switch. If no movement and no noise is heard then,get in the truck, key on, engine off and close the doors. Now turn on the interior lights and see if the lights slightly dim when you hit the up button. If so you have a bad window motor in that door and will need to replace it. When the blower motor will not shut off, even with the ignition off and/or only works on the highest setting, this is most commonly a sign of a faulty Blower Motor Control Module. It's located under the hood, towards the rear of the engine compartment, mounted to the blower motor housing (see image below). Inspect the wire harness and electrical connector for any loose, broken, melted or damaged wires. If the visual inspection checks ok, suspect a faulty Module. For the manual system pull the blower motor relay and see if that turns the fan off. If it does replace that one. The relay is about $13 list but it will be less at a parts store. If you have levers it is manual if you have a display you set to a temperature and the system keeps that temp it is automatic. This is the speed controller for the blower motor. First check the 10A red fuse (#11) in the underdash relay panel on the passenger side for the blower motor that is located here. If fuse 11 is good or if you replace it and the fan continues to malfunction you will have to replace the blower power module. Or its just the temperature needle getting to hot and engine is normal to run. On that case the temperature unit needs to be inspected. Low coolant.Check the level of coolant. Electric cooling fan not working.Faulty fan motor.Or fan motor wire cut in between. A bad radiator fan switch. Radiator clogged and needs cleaning or replacement. May be its worn out thermostat or issue with water pump. If the engine is really getting overheat so quickly then the problem lies with faulty headgasket. Or clog in radiator itself. The first thing to do is to make sure the colling fan runs when the engine temp is above 222 F with the a/c off. The engine control module (ECM) controls the relay for the fan. When the temp exceeds 222 f then the fan is commanded on until the engine temp decrease below 212 f. If the fan is not coming on then that would be a problem to check into first. The ECM also commands the engine cooling fan on when the a/c is on and vehicle speed is below 70 mph. So if the cooling fan comes on when the a/c is on but not when idling then we need to look at the engine coolant temp sensor input, or possibly the ECM itself. If the engine has a cylinder head gasket failure usually they do just the opposite, run hot at highway speeds and cool down at idle. Also it can be faulty fan motor assembly or fan motor wires are cut and not letting fan to come on. If waterpump and thermostat are already replaced and still you notice the problem then,When you installed the thermostat and water pump did you bleed the cooling system of air. When you do any kind of work on the cooling system air gets in it and must be bled out. Another thing can be problem with lower intake gasket leaking which could cause an over heating condition. There is a coolant bypass line that bolts on top of the water pump at the top is a bleeder screw you can warm up the vehicle and open then close until coolant flows out it. Some times the air pocket can be very stubborn to get out.